At Intterra, our version of Shark Week is Wildfire Ops Week. We look forward to it so much and this year it was awesome. It's been exceptionally dry here in Colorado. We've seen very little rain or snow in the last several months, and it's creating the potential for an explosive wildfire season. Fire departments all over Colorado are taking the time to prepare themselves in the coming weeks for whatever the future may bring, and several agencies have already deployed Intterra's Situation Analyst (SA) & its Field Tool. Had you told me 3 years ago that in 2016 I was going to be riding in the passenger’s seat to help Colorado’s experts in wildland firefighting get their hands on a new fire prediction model, I would have kind of squinted my eyes at you (that’s my puzzled look, not angry) and said, “Come again?" For that matter, you could have said that to me in January of this year and I might have had the same response—that’s just how quickly new, cool data integrations heat up at Intterra. We recently enjoyed a significant milestone in our joint venture with the Colorado Division of Fire Prevention and Control (DFPC) and the National Center for Atmospheric Research (NCAR) to add the latest exploration into the CAWFE® model for fire prediction. That’s CAWFE®, sounds a lot like “coffee” with emphasis on the front-end “caw." After years of research and development, NCAR and DFPC unveiled the Colorado Fire Prediction System to a group of trusted users via SituationAnalyst (SA). California Casitas Fire: Good things happen when technology gets out of the way. 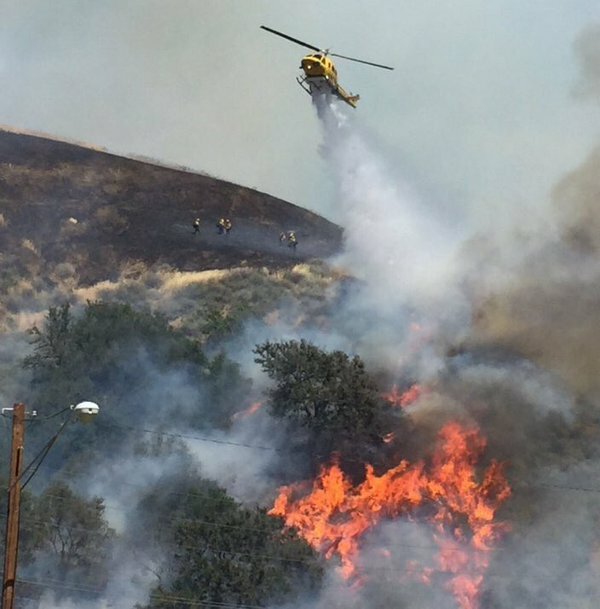 When a fast moving brush fire struck in Ventura County California this week, the department went to work. But the most interesting part is that Ventura's fire activity over the weekend was 'just another day' for them and for Intterra - but something special for the community. VCFD fought the fire with all their tools - including the Ventura Situational Awareness Tool (VSAT). But it was nothing new, nothing novel - just good old fashioned hard work that was a combination of good tactics fighting a fire driven by increasing afternoon winds and spotting. VCFD has gotten so good at using VSAT to let crews contribute from wherever they are to Situational Awareness, that using the system is just part of their DNA. Ventura has a long history of innovation with technology and GIS - creating the original "Ventura Tools" that morphed over time into the national standard Fire Incident Mapping Tools (FIMT). And they continue to innovate - but not just with technology - rather with the willingness to make technology in the firefight a cultural norm in the department. Just another tool in the toolbox to be used when it makes the most sense. We think that you'll agree that from Operations to Public Information and regional integration - VCFD has raised the bar by demonstrating that good information is fundamental - but not the star of the show. After all, the map didn't put the fire out - firefighters did the work, but every tool has its place. VCFD has figured out the best balance between operational adoption and technology that quietly and efficiently serves its purpose. Thank you to VCFD, for showing us a common sense approach and operational balance!